Our 2015 Science Fair Special Awards Winners! Yay! The 2015 Academy of Science St. Louis Science Fair results are finally posted online! I have attached a screenshot of our winners (the red and blue “ribbons” are the “grades” our winners were awarded by science fair judges, not by us). Our first awardee listed is Carissa, a 5th grade student in Chesterfield. Her hypothesis was the size of the payroll on major league teams impacts win percentage. She evaluated all four major leagues: baseball, football, hockey, and basketball and discovered that payroll size did not matter. We chose her project because it was well-designed, it was obvious she did the majority (if not all) of the work, it showed good critical-thinking, and she indicated in her notes that she loves math and wanted to do a project with statistics since there are not many opportunities to do statistical projects in grade school. Congratulations Carissa! Our second awardee is Bennett, a 4th grade student in Kirkwood. Bennett’s project tested the common assumption that refrigerating batteries will prolong their life. His hypothesis was that refrigeration would NOT prolong battery life and it was supported. We chose his project because it was well-designed, it was obvious that he had done the majority of the work, it tested a common assumption (critical-thinking), and he noted in his conclusion that even though his hypothesis was supported, the data was hard to differentiate and so further studies on a different scale may yield different results. This shows knowledge of replication and demonstrates skepticism of his results. Congratulations Bennett – and thank you for freeing up freezer space at my house! Both students will receive $100 awards from SSSL which will be deposited directly into their higher education 529 savings plan. They also received a certificate and a letter of congratulations. I will be sure to share their thank you letters with you all when they arrive. Just a couple of other quick notes: 1) The Academy of Science was absolutely thrilled that we are participating in the science fair in this way. They appreciate our focus on grades K-5 and our reinforcement of critical-thinking skills. 2) Several individuals at the Academy have shared with me that students who have even $1.00 in their 529 account are 40% more likely to attend college (I forgot to get their citation on that one – shame on me!). 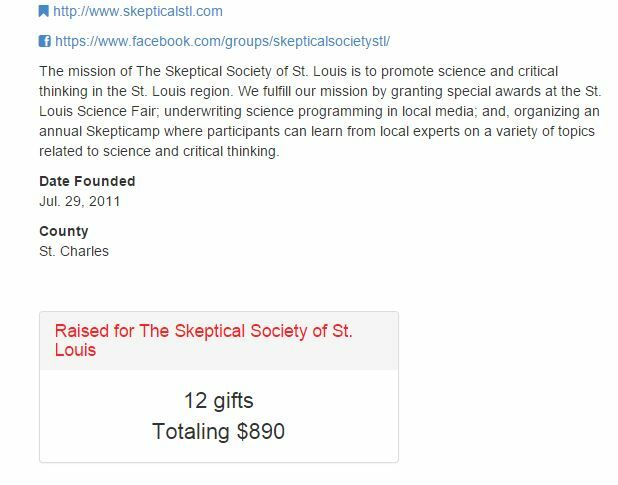 I hope you all find our participation in the St. Louis Science Fair as rewarding (in a vicarious sort of way) as I did. Let’s up the ante for next year and present 2 $200 awards! !